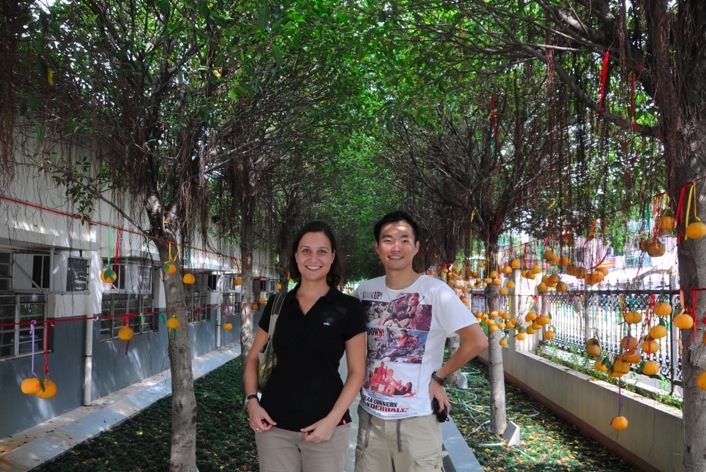 After we visited the real and old Wishing Tree, we walked around the little village and visited the little temple. 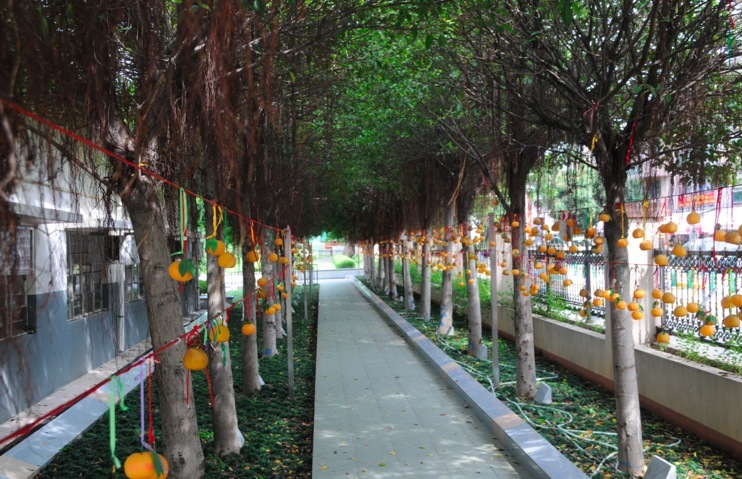 On our way back to the car we noticed an interesting alley with small trees and branches lined up next to it – to which rows of tangerines were attached. Initially I thought these were real, but after a closer investigation it was clear that they were fakes and made out of plastic. I asked my colleague Loretta and her husband Quincy if they know the tradition behind these tangerines, but they were not sure. It must be connected to the old wishing tree, but they did not know the details. 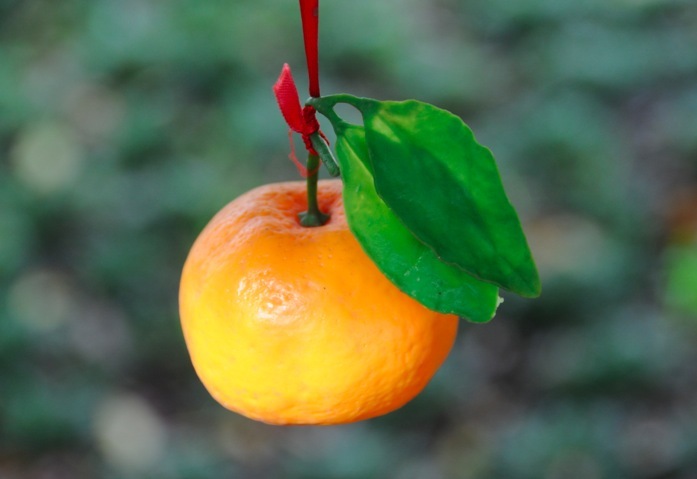 We walked through the rows of branches with tangerines and we came to another tree. 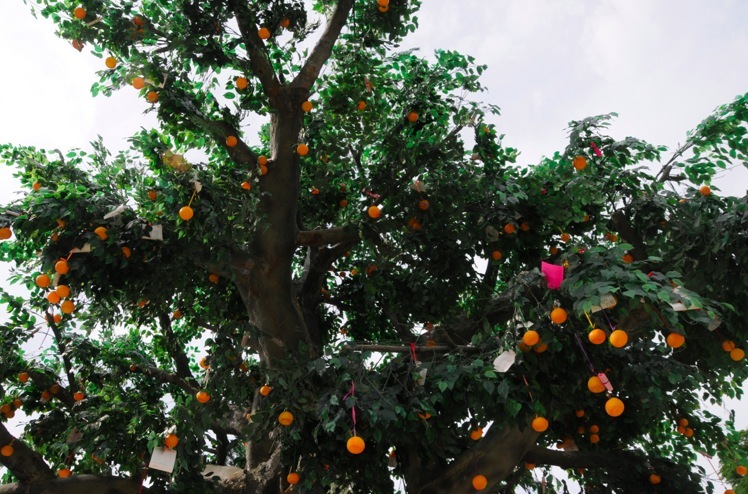 This tree was fake too, but people had thrown tangerines on ropes, with wishes on a pink letter attached, over the branches of the tree. 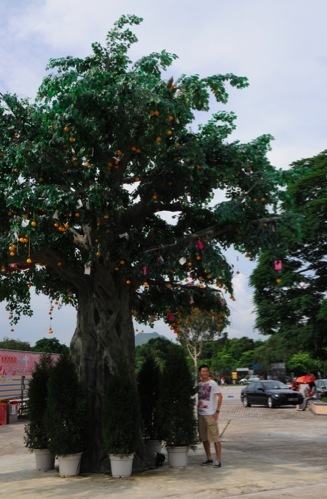 Clearly a modern form of the wishing tree, but it seemed very sad to use fake fruits and fake trees. I hope that my wishes that were made at the real and old tree will come true – that would be nicer than a wish made at this fake tree.